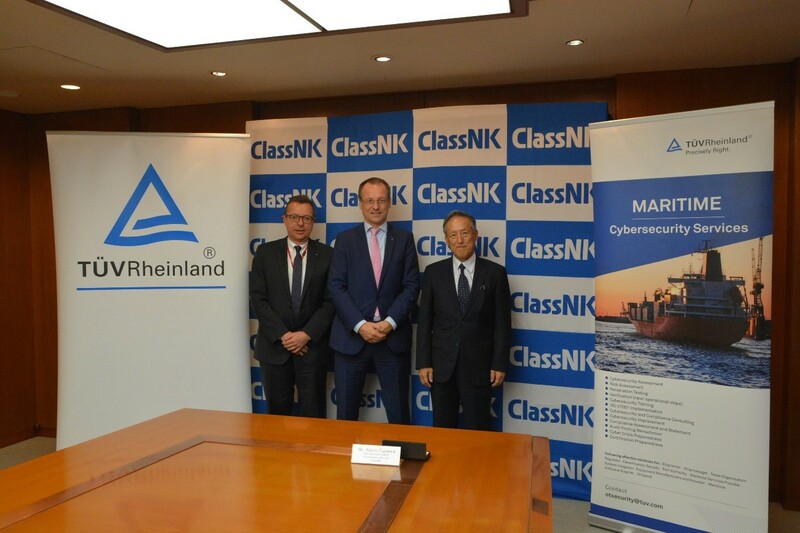 12 November 2018 – Leading classification society ClassNK and TÜV Rheinland have concluded a worldwide partnership agreement for cybersecurity services. For over 20 years, TÜV Rheinland’s Digital Transformation & Cybersecurity Business Stream has been helping companies from various industries, government agencies and public institutions to use innovative technologies securely. With nearly 1,000 consultants worldwide, our experts have a high level of industry knowledge about digital transformation and cybersecurity. Our digital transformation service portfolio includes innovative solutions in the areas of intelligent data, critical infrastructures and networked solutions. In an increasingly vulnerable world of networked systems and devices, our cybersecurity solutions aim to combine security and data protection. Our team carries out cybersecurity tests, industrial security tests and data protection tests on the Internet of Things (IoT) and cloud infrastructures, among others. TÜV Rheinland has a worldwide network of more than one hundred laboratories, which support manufacturers with a single source for product safety, cybersecurity and data protection. TÜV Rheinland Singapore Pte Ltd.